THE KEY INFORMATIONTHAT LEAD TO TORRES'SARREST..IT TURNS OUTTORRES HAD BEENINVESTIGATED BYSALINAS POLICE FORREPORTING FALSE BOMBTHREATS..
NOT MAKINGTHEM, BUT RATHERREPORTING THEM..ruben torres the manaccused of calling inbomb threats mondayand tuesday to thesalinas courthouse..Arrested late tuesdaynight at his castrovillehome without incident..:10the court house andcounty building wereevacuated mondaymorning afterinvestigators say torresthreatened to blow upthe courthouse ..
Ontuesday a similar threatbut this time police saytorres planned to openfire..it was a multi-agencytask force that trackedtorres to this castrovillehome.. 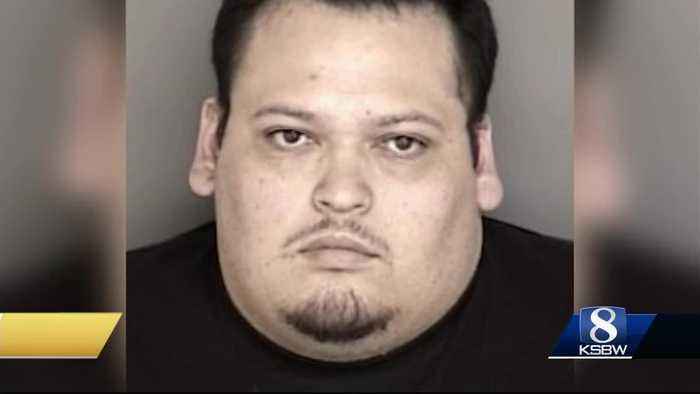 But salinas pdhad a key piece ofinformation..They had investigatedtorres for reporting falsebomb threats whileworking as a securityguard.. In one casetorres is accused ofreporting a bomb threatwhile working theswitchboard at natividadmedical center..:5such calls were neverreceived..
And then thisweek detectives saytorres started calling inhis own threats..
Foreasons still unknown..AND IT WAS JUSTLAST MONTH TORRESACCUSED OF REPORTINGTHAT FALSE BOMBTHREAT AT NATIVIDADMEDICAL CENTER..INVESTIGATORSDIDN'T HAVE TO LOOKFAR TO FIND THEIRSUSPECT..TONIGHT TORRES ISCHARGED WITH 5 FELONYCOUNTS OF MAKINGFALSE BOMB THREATS..HE'S BEING HELD INTHE COUNTY JAIL ON AQUARTER MILLIONDOLLARS BAIL..
###RUBEN TORRESCOULD BE ARRAIGNED ASEARLY AS TOMORROWAFTERNOON.